Will Android O Be Oatmeal Cookie, Not Oreo? Google confirmed what we all suspected, Android O is Android 8.0 but we don't have an official dessert name for Google's new Android 8.0 update. Android 8.0 should be released officially this summer possibly as soon as the first half of August, meaning Google should tell us what the “O” stands for in the coming weeks. In the meantime reports claim to have uncovered the final name of Android 8.0. Before you get too excited no, it doesn't seem to be Oreo. Do you want to stay on top of technology's breaking news, rumors, and leaks? Join our new Google Plus community. Click our link below to join !!! Droid Life posted earlier today the Bixby Voice preview was live to those who had signed up for the Early Access Program last week. Sure enough, Bixby Voice Preview appeared in the settings after updating a few apps through the Galaxy Apps Store, as Droid Life originally reported. I went through the setup process and all seems to be working well after setting up Bixby Voice wake-up. If you've signed up for the Bixby Voice Preview, let us know what you think so far. Is Bixby a compelling alternative to Google's new assistant? Andy Rubin’s new company Essential officially announced its first smartphone. The Essential Phone, and while the company was quick to point out that the handset is unlocked and that it will work on all four of the major wireless carriers in the United States there were still questions regarding an actual carrier launch. As it turns out that the Essential Phone will have an exclusive carrier. Essential president Niccolo De Masi informed USA Today that Sprint will be the exclusive wireless carrier to host the Essential Phone. According to Masi Sprint is the “network of the future,” and that’s why the company chose to partner up with the Now Network. It’s worth noting that Andy Rubin is a friend of SoftBank CEO Masayoshi Son and that SoftBank owns 83% of Sprint itself so maybe the partnership isn’t all that surprising. 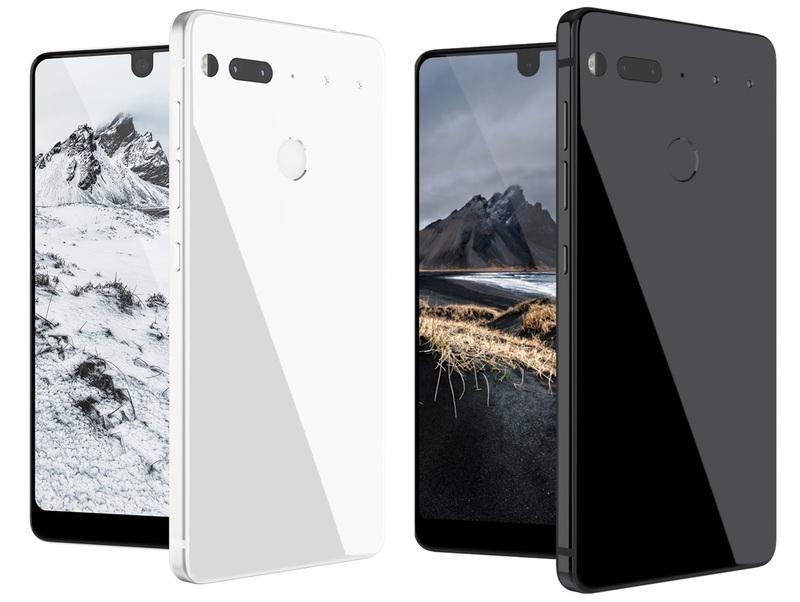 Sprint will carry the Essential Phone in its retail stores, the device itself won’t host any Sprint branding while the phone does work with all the carriers this gives Essential some marketing in United States outside of the traditional advertisements the company will be running. Did you already reserve your Essential Phone?